I have recently become a Las Vegas addict. We have made several trips to Las Vegas over the past couple of years and plan on going back every year. 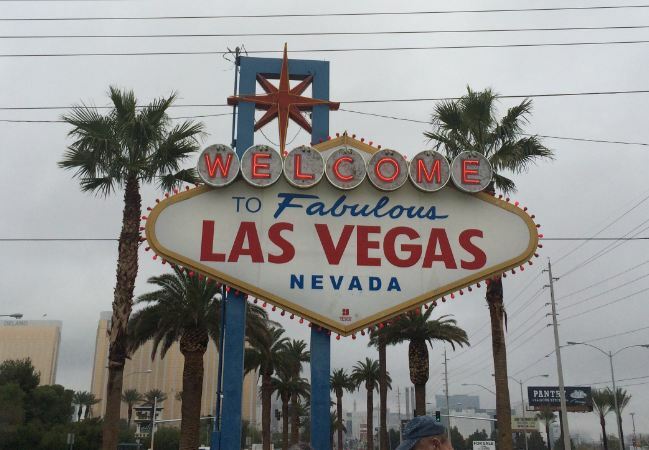 What I realized on our first trip to Las Vegas is how expensive it is or can be. We had the wrong notion that Las Vegas was all about free drinks, cheap entertainment and cheap food. This is not necessarily the case but it can be if you use a few of these tips to save money in Las Vegas. You can trust me these tips saved us a load of money. Coupons – For the most part you should not pay full price for anything while in Las Vegas. The entire city runs off of the idea of the coupon. There are a number of websites that have printable online coupons or coupons you can add to your smartphone. There are coupon books in the back of cabs and in the lobby’s of the hotels or casinos. If you don’t see a booklet ask at check in if there are any available coupon books. On our last trip we found free booklets waiting for the shuttle from the Harrah’s to the Rio. There were all sorts of coupons for dining, shows and gambling. The is also the American Casino guide which you can buy for under $20 and it has pages of coupons for food, shows and gambling. I just ordered mine yesterday. If you are in Canada, Amazon was the cheapest I could find. Group Buying – The one thing we really put to use on our last trip was group buying. To be more specific Groupon and Travel Zoo. Both of these sites are excellent sources to buy coupons and discounts on restaurants, live shows, tickets and attractions. For example, we saved on The Voodoo Zipline at the Rio, Taylormade Golf Experience, skating at the Cosmo and dining at the Hexx. You have score some really nice savings on buffets as well. If you are travelling anywhere I highly suggest social buying websites. Cheap Supplies and Booze – Do not shop at the Casinos and stores in the Casinos. The first thing I do after checking in is head to the closest Walgreen or store and stock up on supplies. You will pay double or more for snacks, water and drinks at the Casino. Some of the Casinos even have little drink booths out front like at the Paris where you will pay double or much more a beer than you would if you bought one from the Walgreen. Lots of places also feature Happy Hour. If you are planning a trip to a certain restaurant or bar give them a google and see if they have Happy Hour and save money on food and drinks. Players Club Cards – Try and sign up for every Players Club card you can and use it when gambling or dining. You will build credits with that casino or brand of casinos which may get your offers or discounts in the future. For example, all of the MGM Resorts are under the Mlife program. You use your card when gambling to earn credits and showing your card can get you small discounts if you shop in the stores located in their casinos. All casinos have some sort of club program. We also charge everything to our room and Milfe account for example. If we are staying at the Aria and dining at MGM we charge it to our room to gain credit. Some casinos in Las Vegas will also offer rewards or a bonus simply for joining. It’s free and never hurts. We gained offers of free stays at one MGM Resort this year simply by using our card in the slot machines when gambling on our last trip. My Vegas and Social Rewards Programs – These are two different rewards programs that allow you to earn freebies in Vegas. My Vegas is sponsored by the MGM Resorts and a few others. You play slots and blackjack games on your facebook page or smartphone to gain loyalty points. You can use these loyalty points for freebies. You can cash three freebies per person per thirty day period. Last trip my wife and I each got a free show at MGM, free buffets at the Aria and Mirage and free slots play. The Social Rewards program is a bit different. It’s run by the CET properties like Caesars Palace and The Rio. You watch youtube movies and promote their casinos on your social media sites like facebook and twitter and gain rewards points you can turn in for credit at their resorts. We both currently have $30 each to cash in which will help with a dinner or two. Not bad for watching a few videos and sending out tweets. Your trip to Las Vegas can be expensive but it doesn’t have to be. If you follow our tips, join a few programs and play a few games on your phone you can save a ton of money. If you need any help or have a suggestion drop me a comment. Have fun in Vegas, which I was there with you.